Product prices and availability are accurate as of 2019-04-23 08:57:15 UTC and are subject to change. Any price and availability information displayed on http://www.amazon.com/ at the time of purchase will apply to the purchase of this product. Why do you need these string light? 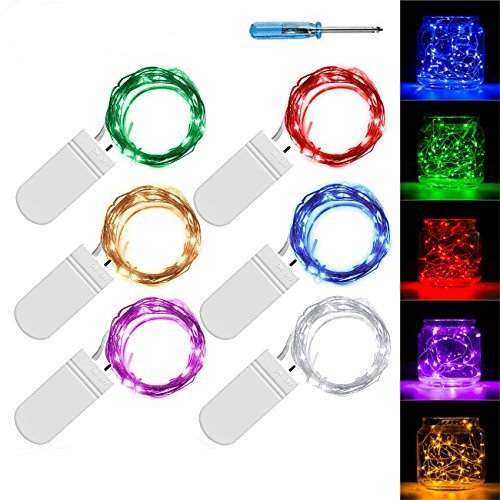 For crafting - With bendable thin wires and 20 micro LEDs, these fairy lights are perfect for crafting; with 6 sets,you can make you shiny fairy dress and cool costume;illuminate your daughter's lovely dollhouse;create unique floral applications;etc. 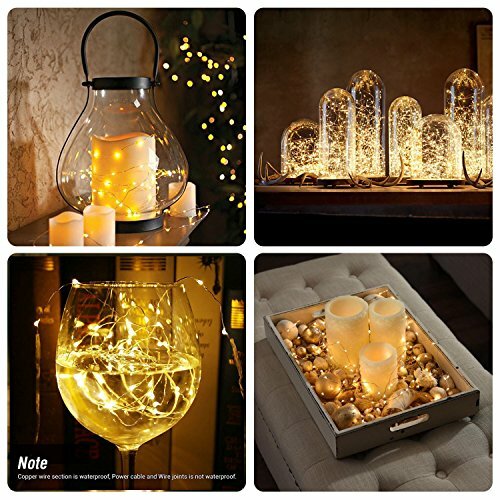 For home and party decor - Meanwhile, with these starry string lights, you can decorate your dinner table centerpiece,wedding party reception table,adding some romantic touch to your events. 1. To change battery, just use a screwdriver to open the battery case and make sure you put the batteries with the correct position. 2. Only the copper wire parts are waterproof and can be soaked into water; battery case is not waterproof, please kept away from water. 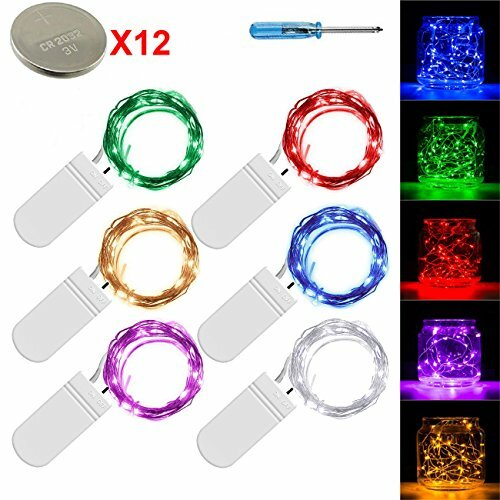 WIDELY USE: Comes with 6 different colors lights,the copper wire is flexible but sturdy, perfect for party, wedding, concert, Christmas, Halloween, both indoor and outdoor decorations. 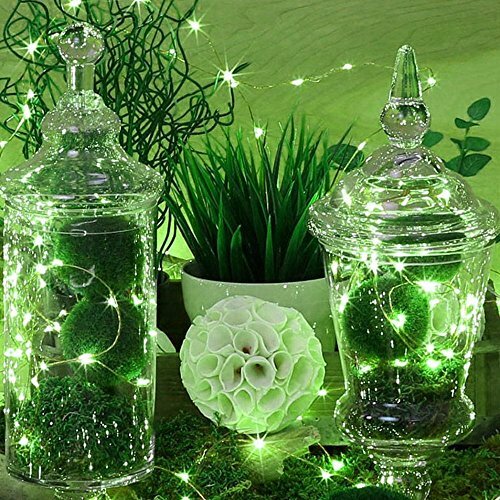 OPERATE EASILY: With on/off switch,the string lights are easy operation and use. It can keep lighting for 72 hours with 2pcs CR2032 batteries. And each string light comes with 2pcs standby batteries. 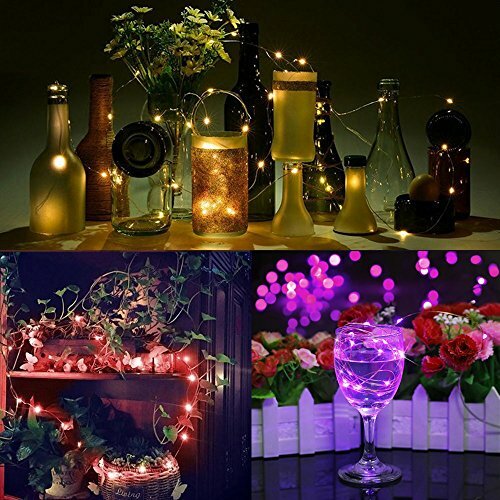 WATERPROOF: Insulate copper wire and fully sealed LEDs, the part of copper wire is waterproof, the string light can achieve amazing lighting effects. Notice: The battery box is NOT waterproof. MINI SIZE: The size of battery case is only 0.75*2 in, which is easy to hide and won't reduce the beauty of decors. 100% Satisfactions and Money-Back GUARANTEED: We take full responsibility for our product and customer dissatisfaction. If you are not satisfied with the String Lights, just return them within 30 days for a full refund or a new replacement.